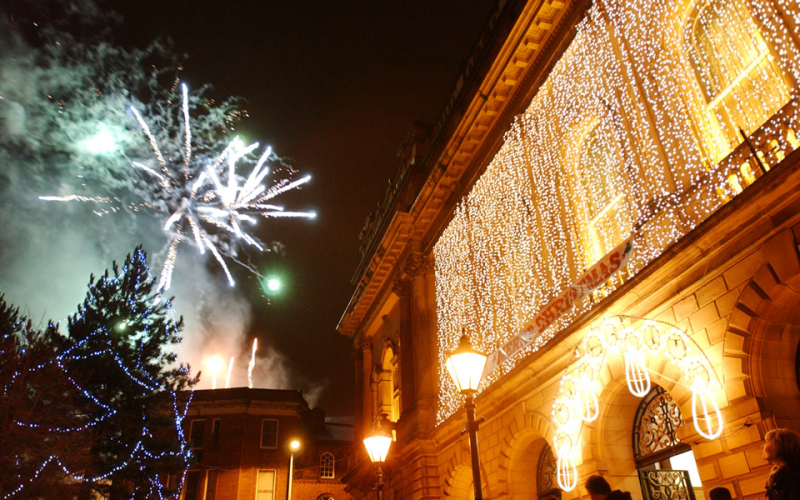 Blackburn’s BIG Christmas will see a Christmas Market take over Cathedral Square stuffed with food, drink and entertainment. The four-week market will bring traditional log cabins to the new event space behind Blackburn Cathedral and will be open seven days a week from Thursday, November 29th. It’s the first time Blackburn has hosted this style of market which will also see late night openings from Thursday and into the weekend for visitors to enjoy some warming Christmas evening fun. The Blackburn Christmas Parade with magical princes and princesses, mischievous elves, giant stilt walkers and an appearance from the main man himself, Father Christmas will add some Christmas sparkle to the town centre with an enchanted finale in Cathedral Square. The Blackburn Festival of Light returns on Saturday, December 15th and will see hundreds of lanterns paraded across the town, with dazzling drummers, fire performers and incredible illuminated structures. The parade follows the Annual Community Carol Service at the Cathedral and ends with spectacular performances and fireworks at the Town Hall. Visitors can also enjoy a unique Light Installation inside the Cotton Exchange building. Blackburn’s Big Christmas will be bigger and better than ever this year with something for everyone but with a real local feel, supporting and promoting the best of Blackburn. Kicking off with the Christmas Lights’ Switch on in partnership with Rock FM, we have the new Christmas Markets on Cathedral Square coming to Blackburn Town Centre, a Christmas parade performed by our very own Blackburn based business, Pop up Entertainment, the first town centre Santa Dash and the biggest Festival of Light yet.